Targeted for being a lesbian and a former police officer Doris and her daughter fled El Salvador seeking asylum. 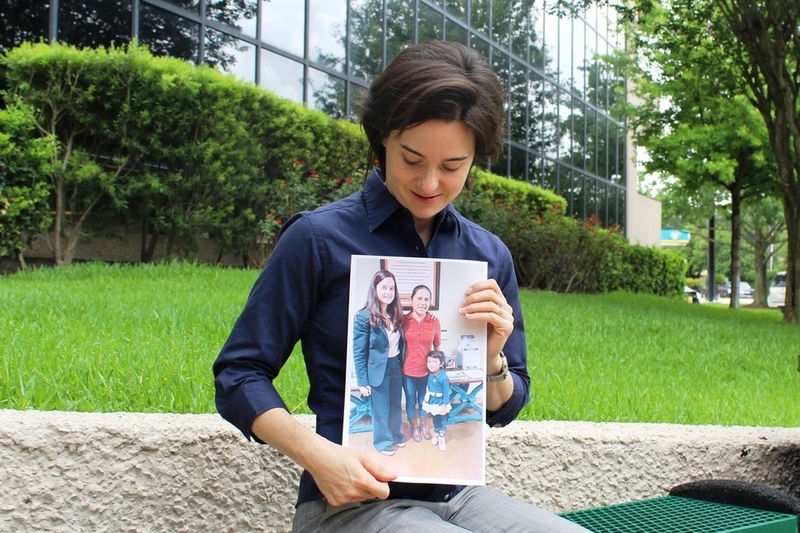 Leslie Crow, one of our immigration attorneys, writes about her improbable story. I met Doris in the Fall of 2015 shortly after I started working for BakerRipley (formerly Neighborhood Centers). I had just made a radical career change, leaving a comfortable position at a private law firm, and was looking forward to making a “real” difference in people’s lives. Doris and her four-year-old daughter fled their native country of El Salvador and presented themselves to immigration officials at the U.S.-Mexico border asking for asylum. Like thousands of other women and children fleeing Central American gang violence, they were put in removal (deportation) proceedings and winning an asylum case in Immigration Court was her only hope. The Houston Immigration Court is notorious for having one of the lowest asylum granted rates in the country and Central American gang-based asylum claims are extremely difficult to win. I had researched these kinds of cases in law school and knew the odds were stacked against us. Doris was targeted by a major international gang that dominates El Salvador because of her work as a former police officer and because she is a lesbian. LGBT individuals are often targeted, harassed and even killed, especially by gang members. For a while, in an attempt to hide her identity, Doris engaged in a long-term relationship with a man. They had a child together before the relationship deteriorated due to Doris’ inability to “change.” Her status as an ex-police officer made her suspect to the gang that ruled her neighborhood. They assumed she was an informant, and her sexual orientation made her even more of a target. After several warnings, a few gang members finally surrounded her and ordered her to “disappear” or she would be killed along with her daughter. 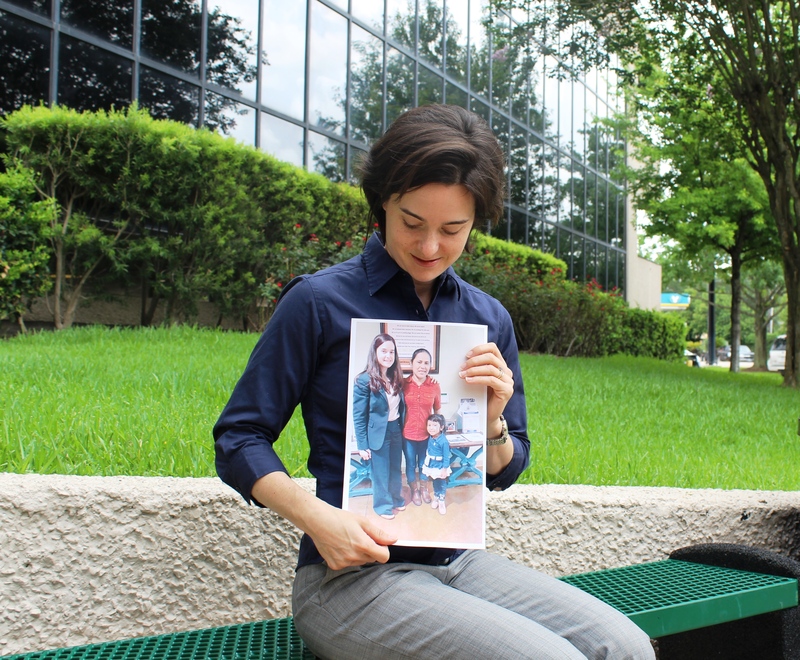 I worked on an asylum case as a law student at the University of Houston Law Center’s Immigration Clinic but had never taken an entire case by myself. The court only allowed us three months to prepare our case – a very short amount of time to prepare an asylum case. I petitioned the court for more time and luckily we received it. I wrote an extensive legal brief with hundreds of pages and raced to file the court documents before the filing deadline. Then, with little warning or explanation, the trial was reset only a few days before it was set to take place. Life went on for both of us as we waited for our court date, but the thought of the trial was always looming in the back of my mind. There is an immense amount of pressure and responsibility that you feel when you are representing someone in a legal case where their life could be at stake. I wondered if I was the right person for the job. There are thousands of asylum seekers like Doris around the country right now without the means to hire an attorney and too few nonprofit attorneys to help them all. I kept telling myself that, inexperienced as I was, I was all Doris had and that even inexperienced legal counsel is more than many asylum seekers receive. Statistically, it is almost impossible to win an asylum case without a lawyer, so I knew I was better than nothing. Somehow that did not make me feel better. I was increasingly sick to my stomach as the trial approached, worried that I would have to look Doris in the eye as she received the equivalent of a death sentence and, even though it wouldn’t necessarily be my fault, I would always wonder if a “better” lawyer could have saved her. This scenario kept playing over and over again in my head. As the day of the trial approached I called the friends and family members that would testify on her behalf into my office to prepare them for what to expect in court. Doris’ partner had recently arrived from El Salvador. Terrified of speaking out about the gang members, she told us she could not bring herself to testify. We had just lost our star witness one day before the trial. It was too late to ask for a continuance and, even if I tried, I knew the judge would not be inclined to grant us another one. There was nothing to do but forge ahead. Characteristically, Doris seemed to take this in stride. One thing that really struck me about her was how matter-of-fact she was while talking about the death threats and other abuse that she had suffered. I am accustomed to working with trauma survivors and had never spoken with someone so resilient. She showed so little emotion while describing the abuse she received that I worried whether the judge would believe her when she was on the stand. I decided to ask her about this directly, worried that the judge would use her demeanor against her and that perhaps she did not understand the seriousness of her legal situation. “How can you talk about these things, Doris, without crying or looking upset – even when you talk about how you think the gang members are going to kill you?,” I asked her in Spanish. She paused for a moment and, for the first time, I saw her eyes well up with emotion. “I am a police officer,” she explained in Spanish. “I accepted that I could be killed a long time ago. It doesn’t bother me to talk about my own death. What really bothers me is thinking about how they would kill my daughter if we have to go back, how they might even kill her in front of me to torture me before they kill me… She is an innocent.” Filled with a renewed sense of purpose, I determined that I would move forward and exhaust every appeal if necessary to keep Doris and her daughter in the U.S. I arrived in court the next day. I saw our opposing counsel, a seasoned ICE attorney, as we were lining up at security. I attempted to introduce myself and see if he would talk to me about the case. He quickly ended the conversation and my heart sank. This was not looking good. I walked into the waiting area, found Doris and we silently walked into the courtroom together with her little daughter. All slightly unsure what to do next, we sat down inside the courtroom at a long wooden table in front of the judge’s bench. I began to unpack all of our evidence and filings as well as some law books in case I had to look something up in a pinch. Opposing counsel stood up and walked toward me. His body language said he wanted to tell me something. Not sure what to expect, I rose to meet him. In a hushed tone, as if he was trying not to be overheard, he told me he was not going to oppose our case for asylum. Stunned, I didn’t know what to say. I must have said something in response, but to this day I have no idea what. I had been picturing a grueling, multi-day trial, hours of cross-examination and possibly being yelled at by the judge for not knowing what I was doing followed by years (if we were lucky) of appeals. I hadn’t yet dared to hope for victory, let alone such a quick one. I whispered to Doris in Spanish what he had said. She didn’t know what it meant. To be honest, I didn’t either except I knew it was good, really good. I explained it was kind of like showing up for battle and then having the other side surrender. “So does that mean we win?,” she asked. “I guess so,” I replied. The judge granted asylum based on all of the paperwork we had filed without asking Doris any more questions. Outside the courtroom, Doris and I looked at each other and we hugged, she thanked me and she hugged her daughter over and over again. I had never seen her look so happy. We went back to my office to discuss the next steps. Doris didn’t understand exactly what it meant to have asylum other than it was a very good thing. “So this means we don’t have to go back to El Salvador?,” she asked. “No,” I responded, “and not only that – you are going to be able to apply for your green card and then citizenship someday.” You’re Americans now (“son Americanos”), I explained, trying to convey the immediacy and the permanence of the decision. “Somos Americanos” she repeated to her daughter, still hugging her over and over again. Her daughter smiled back at her with a big open mouth grin. I am sure she didn’t understand exactly what was going on, but I bet she had not seen her mother so happy in a long time, and she was happy because her mom was happy. “Somos Americanos…?” she repeated, partly as a question and partly trying on the phrase to see how it felt. I wondered if they would ever know everything that had gone into their case. Maybe her daughter wouldn’t even remember this moment, maybe she would grow up remembering only this country and not feeling any different than any other kid. I know I will always remember that moment: sitting in my office with them and watching them realize that not only were they safe now, but that they were “Americans.” I try to think about that often, especially when I have to tell a family that they do not have a viable immigration case and should prepare themselves in case a family member is picked up and placed into deportation proceedings. Moments like that are why I do this work. I was born in this country by an accident of fate, but some people risk their lives to get here. This country represents hope and life itself for people who are being oppressed and whose lives are in danger around the world, and I hope that we do not ever let that change.